We have two pieces of news for you here. First, the Pantone Color Institute selects a color of the year. Whatever you think about this idea, you'll agree that it seems better than not having a color of the year. Second, Pantone just announced its selection for 2018: ultra violet, aka Pantone 18-3838, the color of the cosmos, Prince, and the scarves of your eccentric aunt. As to what a color of the year is, Pantone's vice president Laurie Pressman is quoted on the announcement page thus: “The Pantone Color of the Year has come to mean so much more than ‘what’s trending’ in the world of design; it’s truly a reflection of what’s needed in our world today.” This is more prophetic than scientific, and the explanations get a little... purple hazy, if you will. "Complex and contemplative, Ultra Violet suggests the mysteries of the cosmos, the intrigue of what lies ahead, and the discoveries beyond where we are now," Pantone said in its announcement. "The vast and limitless night sky is symbolic of what is possible and continues to inspire the desire to pursue a world beyond our own." It also goes on to cite how Prince, David Bowie, and Jimi Hendrix all used the color as a personal expression of individuality. 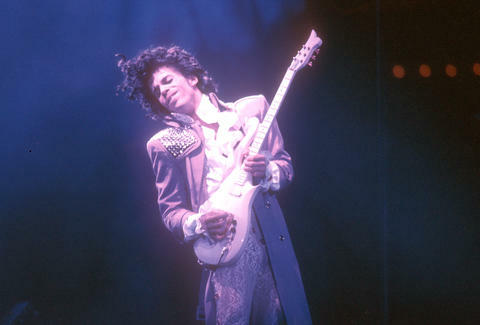 Pressmen also told the Associated Press that ultra violet "evokes a counterculture flair, originality, ingenuity and visionary thinking," and that "the choice speaks to rebellion rather than royalty and has played out in everything from home and commercial interiors to fashion and the art world." It reflects the "complexity, that marriage, between the passionate red violets and the strong indigo purples," Pressman told USA Today. Finally, it's also "very much an optimistic color" intended to bring on "peace and calm," which seems nice. 2017's color was "Greenery." Anyway, all of that sounds right to us. James Chrisman is a News Writer at Thrillist who believes all colors are mere shades of millennial pink. Send news tips to news@thrillist.com and follow him on Twitter @james_chrisman2.